Marklin H.O. 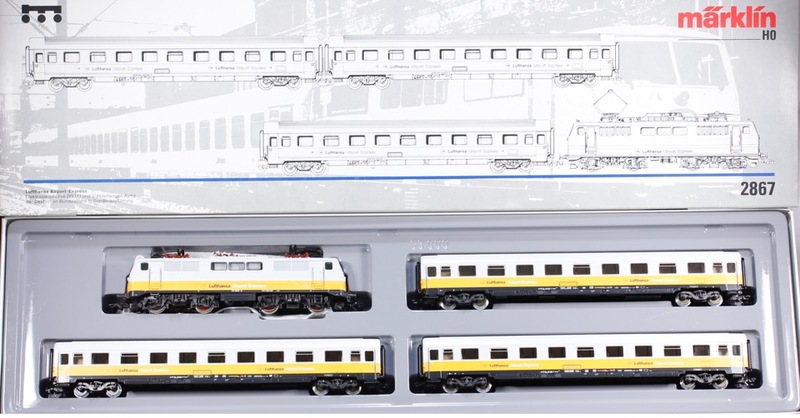 #2867 Lufthansa Airport Express passenger train set. The train was produced for the Marklin 3 rail A.C. system. The Passenger cars have full interiors. The set is brand new and unused. It comes in the original box with all paperwork. This set is a limited run one time issue that was made and sold only in 1991. Please note that the locomotive has the solenoid reverse unit and is not Digital compatible.